Isabelle Adjani rides a bike. 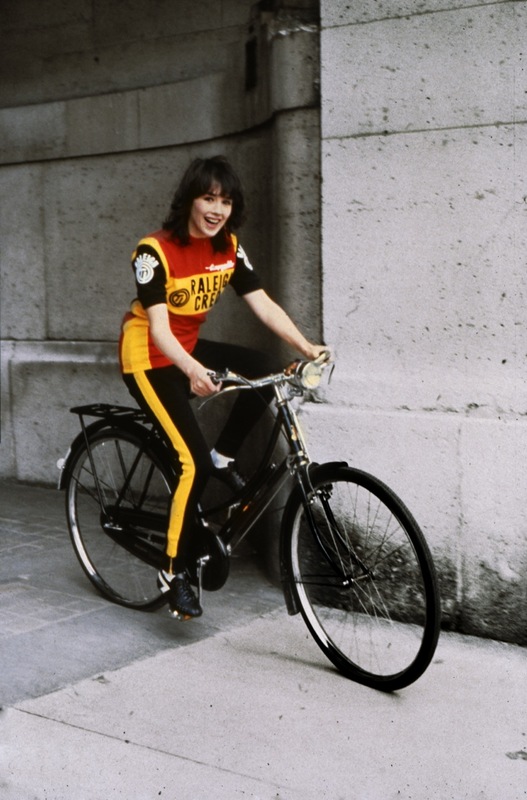 Isabelle Adjani, outfitted head to toe in Team Raleigh-Creda gear, rides a vintage rod-brake step-through through a courtyard somewhere in the world. The Dutch team Raleigh-Creda competed in 1980 and 1981. Adjani’s cult psycho thriller, Possession, was released in theaters beginning in ’81. We’re not sure why the actress is in the distinctive red and yellow, but she seems happy about it.